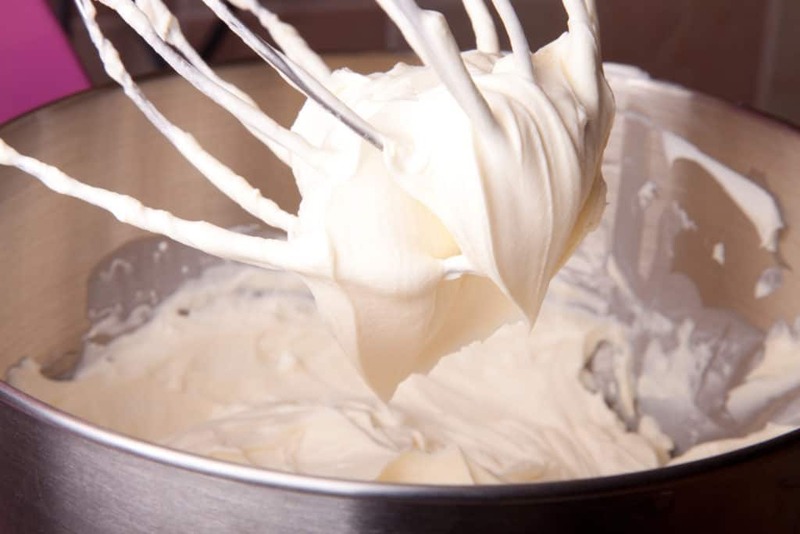 The Best Cream Cheese Frosting Recipe is light and fluffy and easy to use for decorating cakes, cupcakes or any dessert. This blend of cream cheese and butter has a mild flavor that won’t over power your favorite Cream Cheese Dessert Recipe. There is nothing better than a smooth, creamy frosting on top of your favorite dessert. Cakes, brownies, cookies, cupcakes, danishes… anything you can think of is better with frosting. If you are looking for the best cream cheese frosting recipe, look no further, this is the best. This is my “go to” frosting recipe for my favorite cakes and cupcakes. I adapted during my wedding cake baking business days when I need a fast, easy and dependable recipe that had delicious flavor—no greasy, flavorless frosting for the bride’s special day. This cream cheese frosting recipe is fancy enough for any wedding and easy enough for everyday, you will love it! For more advanced tips, scroll down the post to the Great Tips sections. Bring the cream cheese and butter to room temperature before you beat them together. You will have fewer lumps and the frosting will mix evenly. Sift the powdered sugar AFTER measuring the sugar. This will give you a consistent measure and it will be easier and leave less mess. Use a very large bowl. 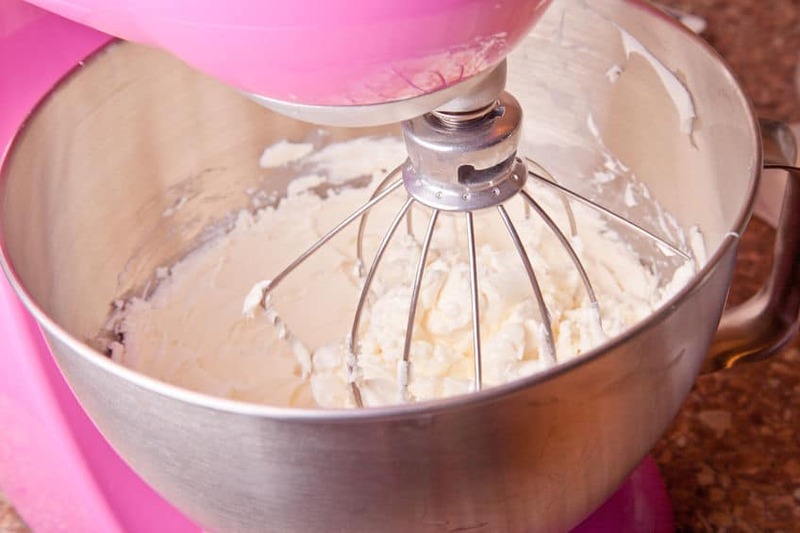 Making frosting can be a little messy, using a larger bowl will cut down on the powdered sugar “dust” and frosting flying off the beater and onto your wall (voice of experience). Add the powdered sugar in small batches and mix well before adding the next batch. You will avoid getting lumps. Add the vanilla halfway through mixing. Adding the vanilla halfway through ensures it is evenly distributed and adds a little moister to help with the rest of the powdered sugar. Make a large batch- This recipe is more than enough for a regular sized cake (either a round layered cake or larger sheet cake). I make extra when I need to decorate or when I “torte” the layers (cut them into thinner layers making four thin layers not two). The frosting keeps well in the refrigerator or freezer, just make sure it is wrapped air-tight so it does not absorb flavors from your fridge. Bring chilled or frozen frosting to room temperature then, beat well before using. 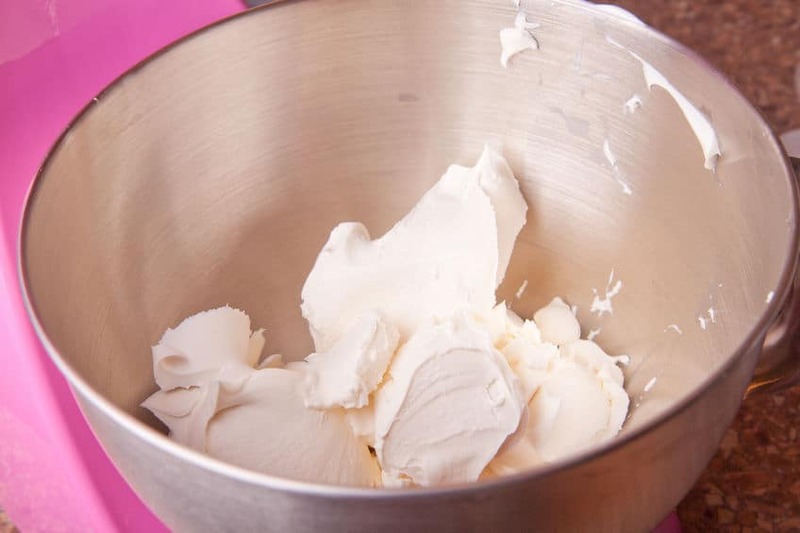 This Cream Cheese Frosting Recipe is perfect and ready to use without the milk. It rarely needs to be thinned. Choose your butter wisely. If you need the whitest possible frosting without adding shortening, choose the freshest, lightest colored brand of unsalted butter (salted appears slightly yellow, for some reason). Personally, I use Challenge Unsweetened Butter because it is easily available, almost white and delicious. If “white-white” is a must, exchange 1 stick of butter for the same amount of shortening. Use clear vanilla only if necessary to achieve a whiter appearance, just remember you will give up a lot in flavor (clear vanilla is not as tasty as real vanilla). Sift AFTER measuring the powdered sugar. If you are sifting the powdered sugar (not required but, good for some desserts), measure the powdered sugar first. It will give you a more consistent measure AND it will be much easier to make large amounts of frosting. Remember: the more milk you add, the more sugar you may need to add later. Nobody wants super sweet frosting so, go easy on the milk. Separate your frosting for different duties. Example: If you are frosting a cake and using a crumb coat, a base coat and decorations such as shells, boarders or flowers, separate the frosting into three bowls and thin or thicken for the task. You my want to thin the crumb coat with a little bit of milk and you may want to stiffen the frosting you use for advanced decorations such as roses with a little extra powdered sugar. Choose the best flavored cream cheese and only real butter. This is cream cheese frosting so that is what you will taste. Use the very best vanilla you can. Remember, all you will taste is cream cheese and vanilla so, make it good. That said, you do not need to break the bank on fancy vanillas. I have found that the fancier the vanilla, the more it tastes like something other than vanilla (like the bourbon it is made in). I am perfectly happy with McCormick Pure Vanilla Extract. More importantly, my wedding cake customers are happier with the McCormick Pure Vanilla Extract. Trade out the vanilla for other flavors such as orange extract, chilled coffee or spiced rum (for adults only and only if everyone can have alcohol). Just remember that it may change the color of the icing. Use mascarpone cheese for a milder, less tangy flavor. Some delicate desserts need a less tangy frosting. 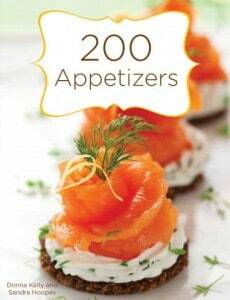 For these recipes, I use mascarpone cheese for these recipes. Just replace some or all of the cream cheese with mascarpone cheese. 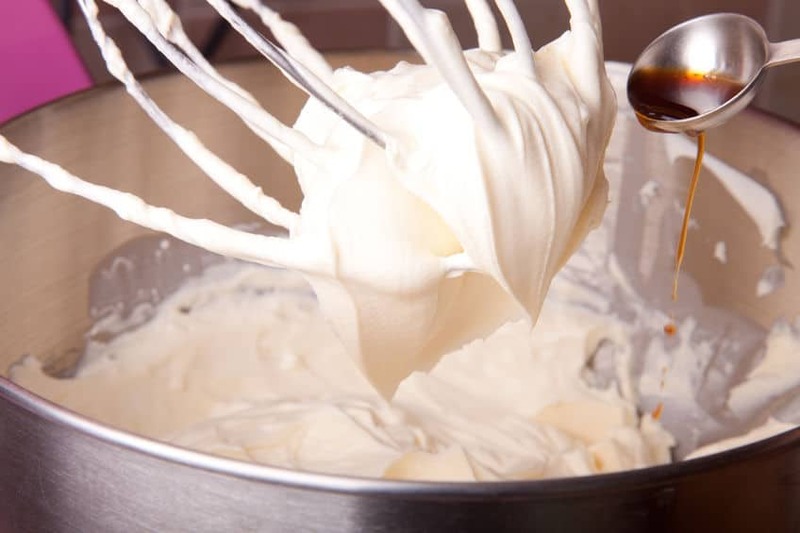 A great cream cheese frosting recipe is a must have for any baker. This one is so easy and delicious that you will find yourself using it for just about any recipe that needs frosting. Let me know what you plan on using this recipe for or if the tips were helpful to you. Just leave a comment here on this post or follow Everyday Southwest on Facebook and leave a comment for me there. 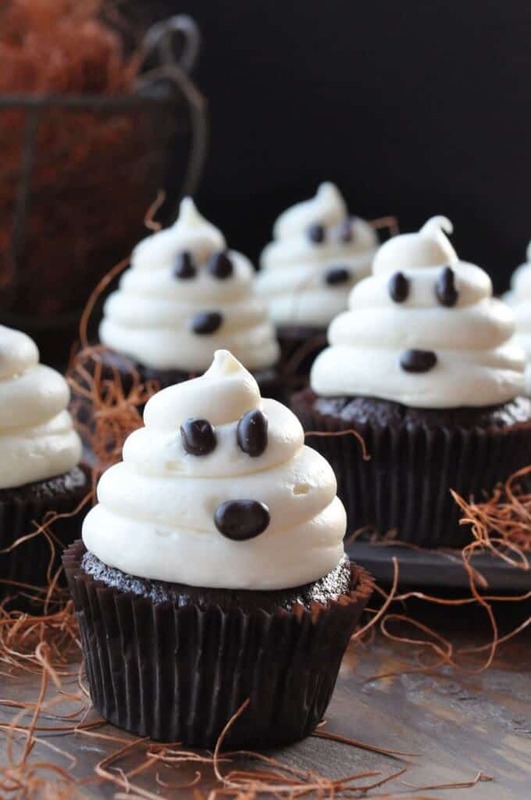 Halloween Ghosts made from this Cream Cheese Frosting Recipe are perfect on carrot cupcakes. Easy, too! 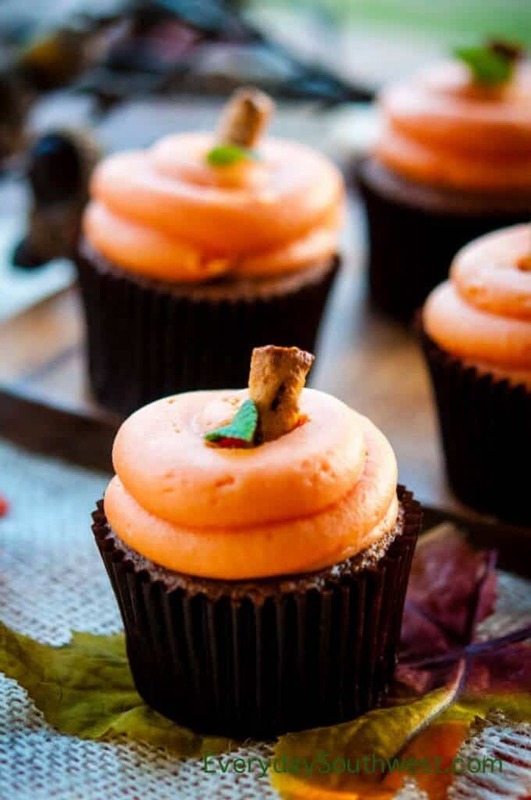 Everyone is looking for easy Halloween recipes so, try these adorable, easy Cupcakes with Cream Cheese Pumpkins on top. After making the little pumpkins, stick a salted pretzel in the top for a stem. Watch for more recipes to come! In a very large bowl, beat cream cheese and butter together with electric mixer until light and fluffy. Gradually mix in powdered sugar and vanilla. Beat on high until smooth, about 1 minute. Frosting is finished and ready to use. To frost cakes, etc... If frosting is too thick to use for icing cake, beat in the milk. Be sure to remove some frosting before adding the milk and set it aside if you plan on decorating with the cream cheese frosting. For decorations, piping, flowers, etc... If frosting is too thin for piping and other decorating, add powdered sugar 1 tablespoon at a time. If it seems too thick, add more milk 1 teaspoon at a time until the frosting reaches desired consistency. I love cream cheese frosting and use it a lot for cake decorating. And your idea of using mascarpone for recipes that need a milder flavor is so smart! Thanks, Lydia! Try the mascarpone and let me know how you like it.